There are more to mushrooms than just granting extra lives or turning you into Super Mario! Mushrooms are a hugely popular ingredient in Japanese cooking and there are many varieties available compared to the standard button or flat mushrooms we see at British supermarkets. 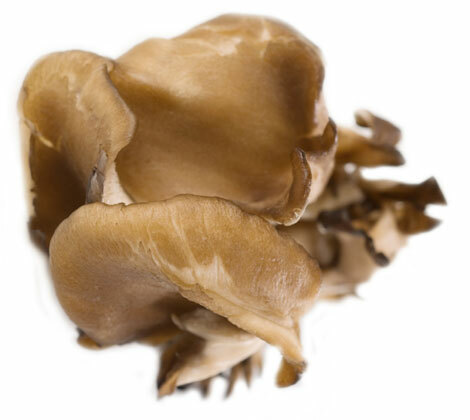 With some fantastic new Asian mushrooms available to buy online at Japancentre.com now is the perfect time to learn more about the exciting varieties! Mushrooms are often called the meat of the vegetable world due to their texture and rich flavour. Whether you use them in stir fries, soups, cooked with rice, or even as a basis to a vegetarian dashi stock, there is a whole world of tasty Japanese mushrooms to explore! Shiitake are without doubt the most well known of the Japanese mushrooms and you can buy shiitake online at Japancentre.com. Native to Japan, China and South Korea, shiitake have a very rich flavour, full of umami, which makes them ideal in vegetarian dishes as a meat substitute. Shiitake are a common ingredient in nabe, a Japanese hot pot dish where many types of vegetables and meats are cooked in a large pot of dashi flavoured soup. Check our Chanko Nabe Hot Pot recipe online to find out how to make it! Anything can be made into light and crispy tempura and shiitake mushrooms are no exception. Make sure to cut off the hard stem before cooking them whole. Follow our Tempura recipe and whip up crispy tempura in your kitchen. Shiitake are often sliced and added to miso soup for extra flavour and to provide different textures in combination with tofu and spring onions. Our Miso Soup recipe is easy to follow and is a great addition to your cooking repertoire. Dashi stock is the basic Japanese flavouring used for everything from noodle soups to tamagoyaki egg omelette. Soak dried shiitake and konbu kelp in water for a few hours before straining to get a rich, shiitake infused dashi stock, perfect for vegetarians. Check our Dashi Stock Guide on our blog. Enoki mushrooms are very long, thin, white coloured mushrooms with a small head, you can buy enoki online at Japancentre.com. Although they have a much more delicate flavour than shiitake they are great at soaking up the flavours of anything they are cooked with, this makes them ideal for using in hot pots. 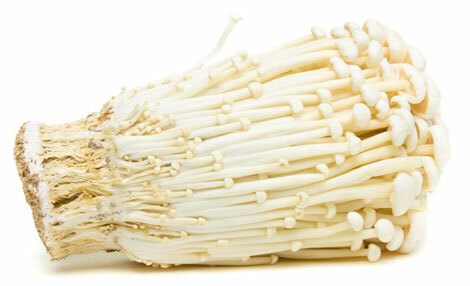 Most enoki are cultivated indoors which gives them their distinctive white colour and long, slender stems. Did you know that they are usually grown inside a plastic bottle to encourage them to grow so tall! Sukiyaki is a Japanese dish where a selection of meats and vegetables are simmered in a large, shallow pot in a sweet dashi and soy based soup. As enoki mushrooms soak up the flavour of the stock, they are a wonderful addition to sukiyaki. Our Sukiyaki recipe is a great one to cook for large groups of people at the table, making it fun too! Similar to sukiyaki, with shabu shabu you simply swish the food in a flavoured stock until it is cooked, rather than cooking all the ingredients together. The light, delicate taste and somewhat crunchy texture of enoki are a popular vegetable for shabu shabu. Our Shabu Shabu recipe is a particular favourite of ours and is quite healthy too. Japanese salads often include seaweed and mushrooms, as well as the lettuce and tomato we normally expect to see. Enoki are the preferred mushrooms for salads as the delicate flavour matches the other ingredients so well. Maitake are a type of mushroom with very short, hardly visible stem and a ‘cap’ that looks like waves in the sea, you can buy delicious maitake mushrooms online at Japancentre.com. Translated they literally mean “dancing mushrooms” due to their appearance being similar to waves dancing when they are blown in the wind. Maitake are my absolute favourite mushrooms due to their incredibly rich taste. The only way to understand how good these are is to try them, my preferred dish for maitake is definitely sukiyaki! Like enoki mushrooms, maitake are a fantastic addition to sukiyaki as they also soak up so much of the delicious flavour of the sukiyaki sauce. As they have such a good texture, they are perfect for vegetarians looking for a substantial ingredient. Use our Sukiyaki recipe to whip up this delicious dish at home. Maitake mushrooms keep their shape well during any type of cooking so you can combine them with meat and vegetables for a tasty stir fry, or cook them with some asparagus and sesame oil for a tasty vegetarian side dish. Our Shirataki Noodle & Mushroom recipe is great with enoki or maitake mushrooms. Shimeji mushrooms are another massively popular mushroom in Japan due to their versatility and texture and readily available to buy at Japancentre.com. These flavoursome mushrooms have a slightly slippery texture but that doesn’t stop them from being added to stir fries, miso soup and noodle dishes! You can find shimeji in two types: white ones and buna shimeji that have a dark brown cap and a slightly nuttier taste. 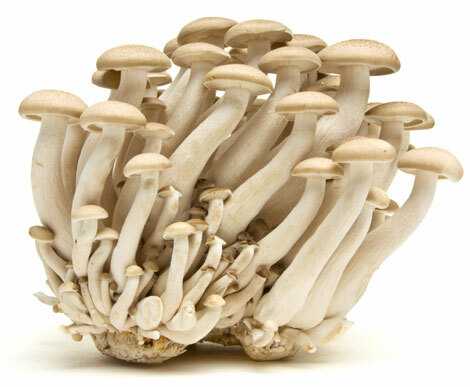 Shimeji mushrooms are a great addition to miso soup or other soups to give extra umami flavour and texture. Takikomi rice is when various vegetables are mixed with rice before being cooked together. Mushrooms are a popular choice for this dish due to the rich flavours and shimeji mushrooms also provide a great texture too. Our Takikomi Gohan Mixed Rice recipe is perfect for enjoying your favourite vegetables with sticky white rice. There is something incredibly satisfying about the 8-bit “diddly-bee-blip-bloo-bleep” sound when you pick up an 1-up mushroom. Knowing that you have an extra chance to save Princess Peach from the clutches of Bowser feels great, even though you know that you will probably end up loosing that life with that same… damn… flying koopa turtle every time! It’s no coincidence that Mario is a mushroom fan, created by Japanese it’s ingrained that mushrooms are a super food! 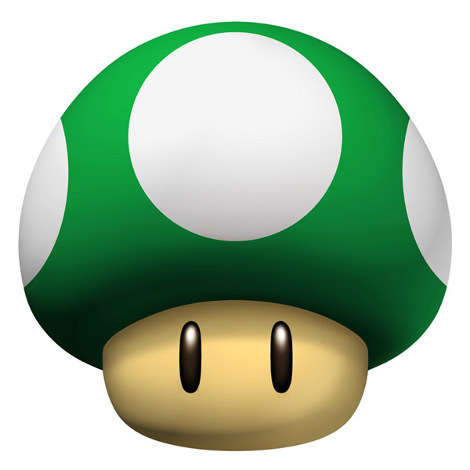 The typical red mushroom with white spots looks suspiciously similar to Amanita Muscaria, a poisonous and psychoactive mushroom… no wonder it makes Mario turn inro ‘super’ Mario! More lives means more chances to win. Rescue Princess Peach (she really should be more careful), and bring peace and harmony back to Mario and his friends. Japan Centre Regent Street has a fantastic range of fresh mushrooms in store and we’ve recently added fresh mushrooms to our online shop too! Now you can enjoy fresh Japanese mushrooms at the click of a button!